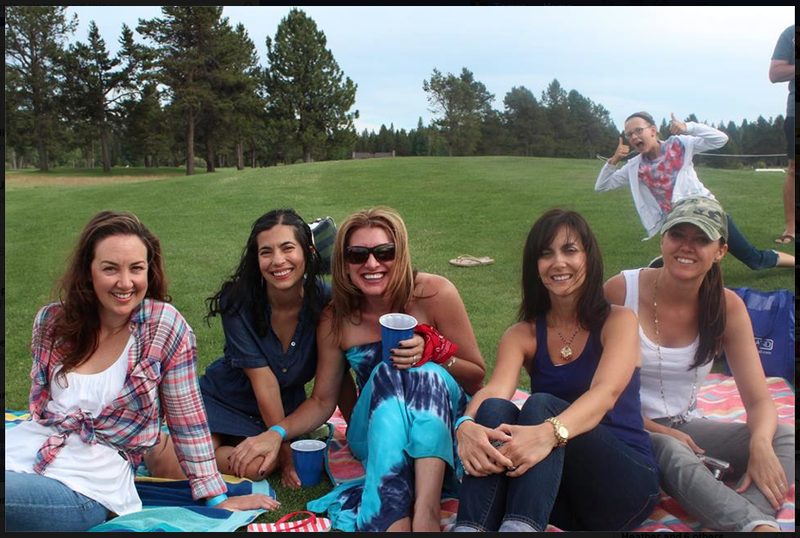 I feel so incredibly fortunate to have celebrated our 5th annual trip to the Sunriver Resort near Bend, Oregon with this group of friends. Four families come together to laugh, play, catch up, relax, try new adventures, and make lifelong memories. 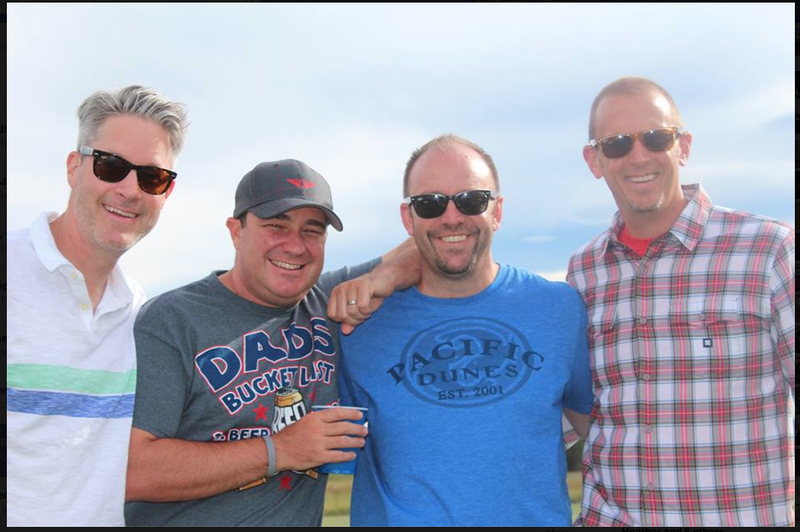 The husbands (from left: Greg, Ben, Dave, and Rusty) all went to college together. In fact, Rusty and his wife, Staci, went to junior high, high school, and college with my husband! It was very thoughtful for these fellas to all choose such amazing women to marry because now I get to have them in my life too! We each have two kids and "poor" Luke is the only boy. After our family left California in 2008, we saw far less of this core group of friends. It wasn't long afterward that we began gathering as a group for this summertime getaway. 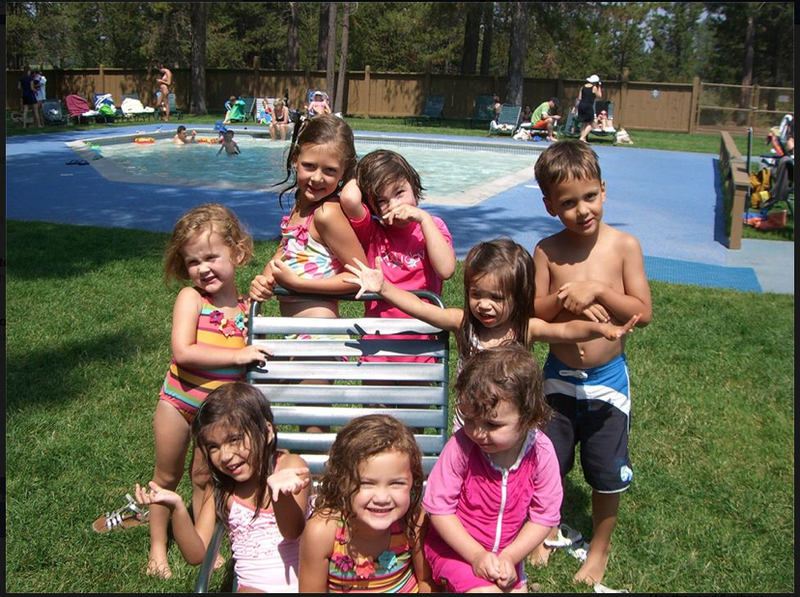 Below is a picture of the kids from the first year we did the trip. It is a beautiful thing to be able to see these eight pick up right where they left off, summer after summer. 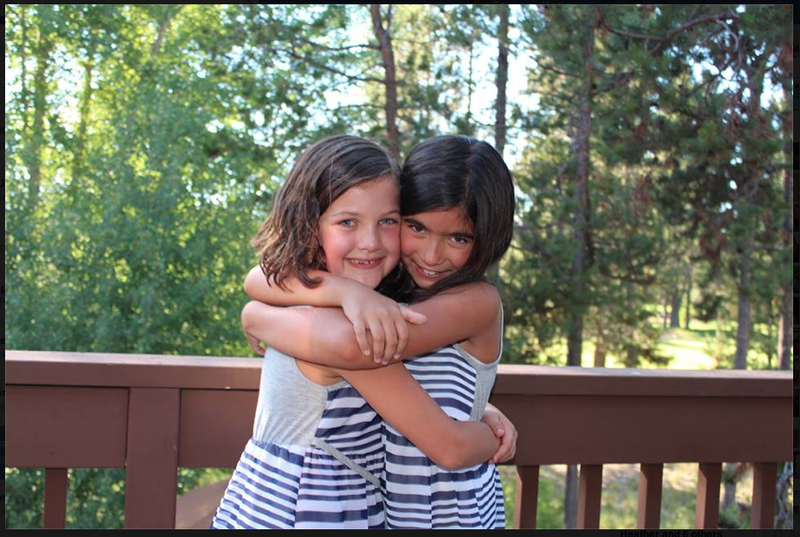 Since moving across the country in 2013, the distance and energy to get to Sunriver has increased significantly; however, the happiness and goodness that the trip does for my heart is worth every effort! 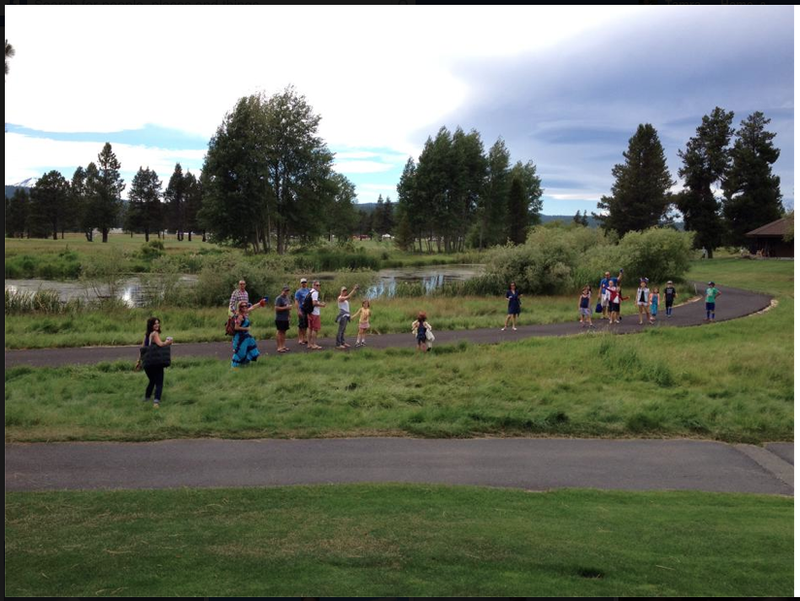 One of the best things about Sunriver is its "bikeability." Now that the kids are a little older, biking around the resort as a group is something we spend a lot of time doing. 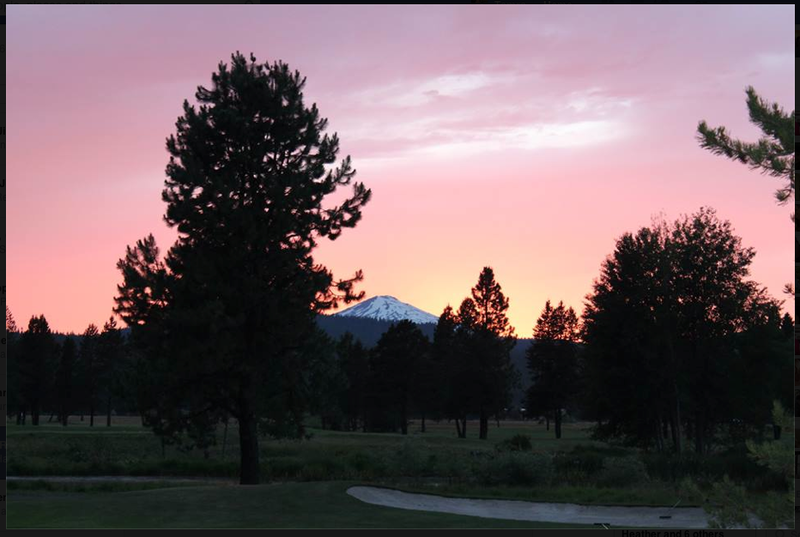 This year we attempted the "Sunriver Bike Barn Instagram Challenge." We accomplished half of the list and were proud of that! Geneva and Natalie might as well have been sisters given the amount of time they spent together between their births (three weeks apart) and our Oregon move. I LOVE seeing them reunited every year. For the first time ever, we rented the same house a second year in a row this time around (and it's already booked for next year too). We're told the house was the "gem of the resort" back in the late '70s. Go ahead and let your imagination run wild… Think: sunken bathtubs, wet bars, brass fixtures… It's amazingly funky and dated and awesome. With four master suites, a dorm-style room for the kids, the guest house/kid zone, tennis court, and breathtaking sunsets from the back porch (below), it couldn't be a better fit for our group. 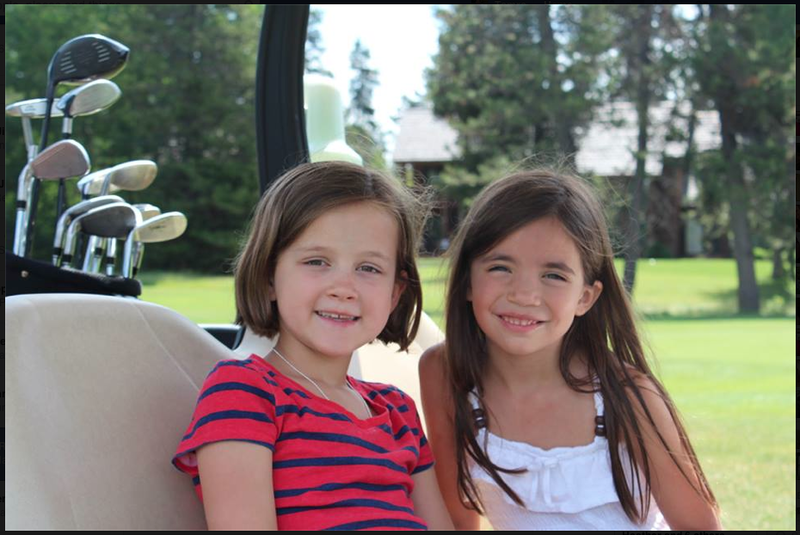 Here we are sneaking across the golf course on our way to Rhythm on the Range, an outdoor concert on the driving range. It's a fun tradition for our group. 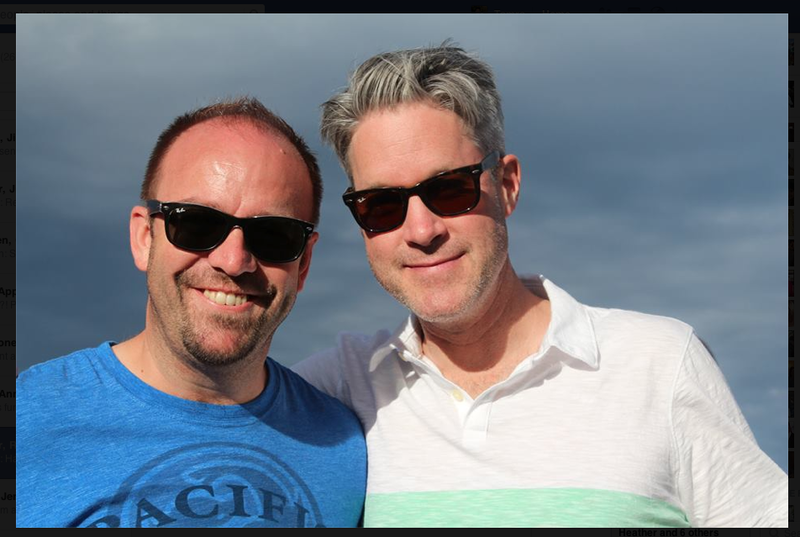 A fantastic surprise this year was learning that our great friends from Sacramento were going to be in Sunriver for the first time this year and that their vacation overlapped ours by 2 days! One of the big hits of the trip this year was the introduction of the domino game, Mexican Train. I couldn't count the number of matches we played. 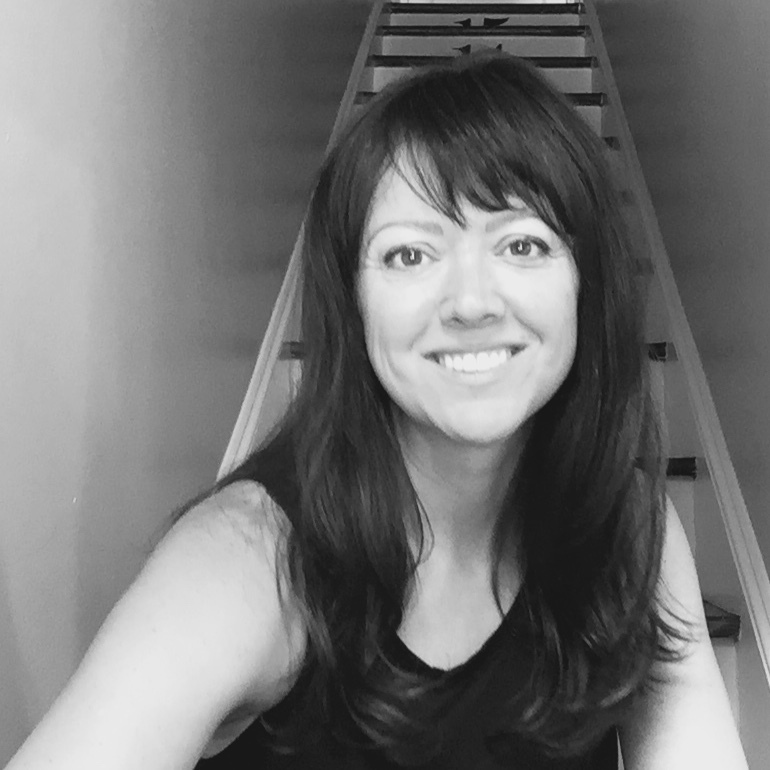 The greatest part is that kids and adults can play together and while there is a bit of skill involved, there's also a lot of luck--so anyone can win and everyone can have fun! 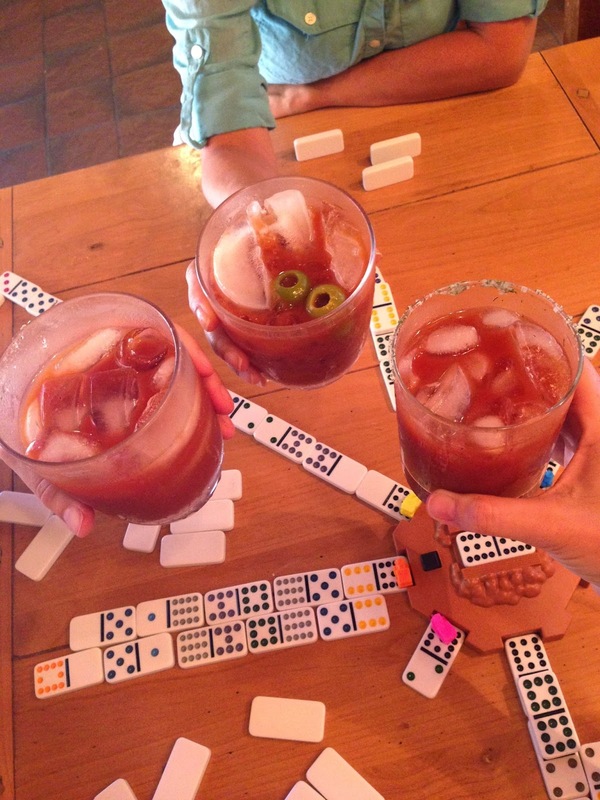 This is a "Mommy Version" of Mexican train where you add several Bloody Marys to the action. How cute are these guys in their RayBans? 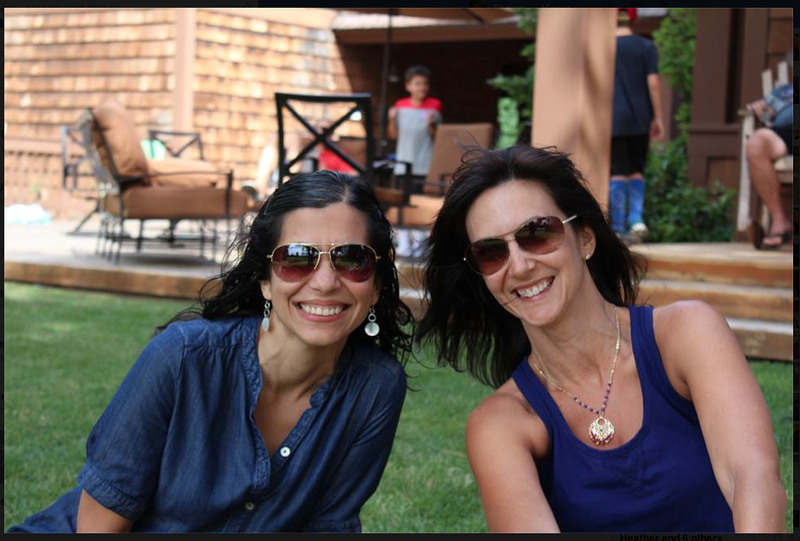 … And these two in their aviators! Our house sits between two holes on the Meadows course. We started a tradition last year that when the dads get to the first fairway (at the front of the house), the kids all run out and deliver beer. Then they hop on the carts and ride around to the next hole (back of the house) where they typically run back for more beers to deliver. 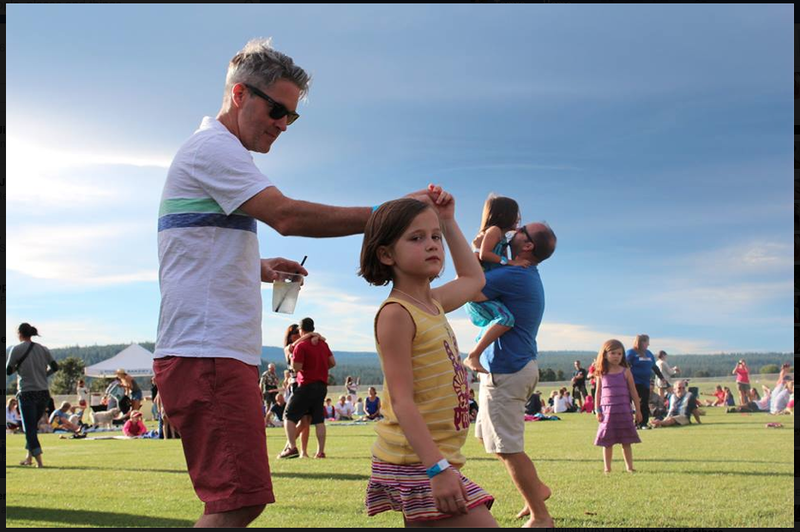 But really it's not about the beer--it's about joining their dads for a moment in the sunshine and being a small part of something they love. Without any adult input (or maybe they would say, "interference") the kids put on a Talent Show for us every year. There are different acts that include standup, singing, dancing, gymnastics, and sketches. There are costume changes, lighting, music, and refreshments (Ok--so the "refreshments" this year consisted of Slim Jims cut into bite-sized pieces--But, still!). I think that even if you weren't one of their parents, you would have been very entertained! Another huge highlight of the trip is the terrific food. We do a lot of cooking at the house. Typically, each family takes on one big dinner and then we come up with snacks, and lunches as a group. Rusty leads the charge on breakfasts and does the heavy-lifting with any extra meal-planning. No trip is complete without a bike ride to Goody's in the Village for homemade ice cream. 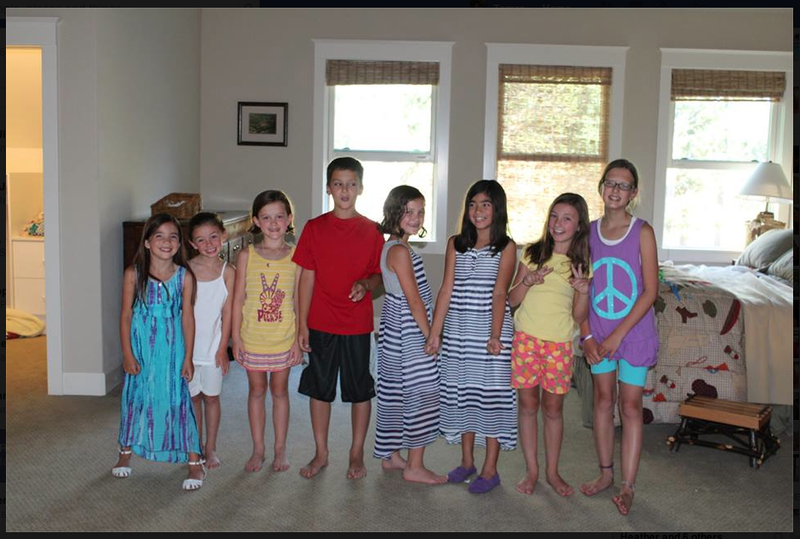 Below is a pic from our first year where they are lined up from oldest to youngest. "Time spent with friends is always time well spent." *If you're interested in a trip down memory lane, here's a link to our first trip with this group in 2010. My name is Shannon and I'm a good friend of Tasha Bartley (she mentioned you were in her book club before you moved back east). I'm in the process of starting my own "DIY" blog (I know, I'm so behind the times, but I'm gonna give it a whirl). Anyway, I really like your design, layout and content--nice work! I've tried to contact Shiny Magic, but haven't heard back from them. Did you have a good experience with them and we're they somewhat cost effective? Do you have any other web designer recommendations? Any advice you could give me would be greatly appreciated. I imagine you're pretty busy, but anything will help. :) Also, are you open to advertisers as well? Thanks so much for your time and keep up the great work!